One of Britain’s most prominent contemporary artists opens a new exhibition at White Cube Bermondsey today. 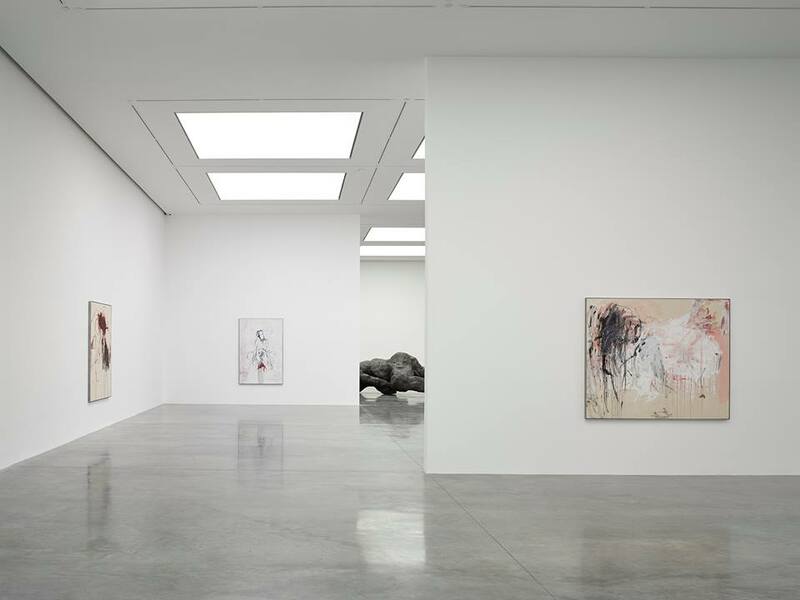 Tracey Emin’s solo show ‘A Fortnight of Tears’ brings together new works that stem from the artist’s personal memories and emotions, ranging from loss, grief, longing and spiritual love. 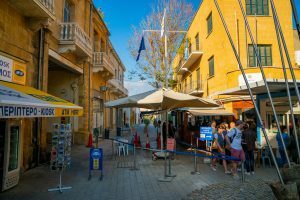 Of Turkish Cypriot heritage through her father Enver Emin, Tracey Emin is known for her autobiographical work, using her life as inspiration for her candid and expressionistic works. Rising to fame in the late 1980s, she attracted huge media attention for her seminal pieces ‘Everyone I have Ever Slept With 1963-1995’ and ‘My Bed’. 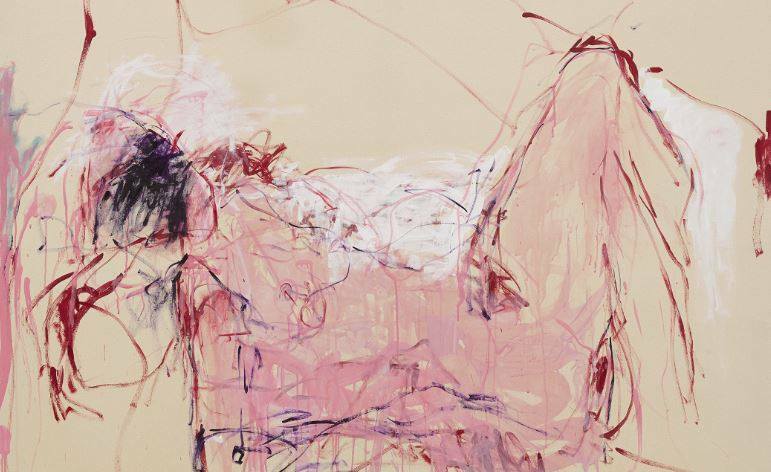 Emin is influenced by, and her works pay homage to, artists like Edvard Munch and Egon Schiele. Both artists primarily explored complex states of self-representation and their art is often sexually provocative, frank and unadulterated. Emin reveals her childhood and adolescent experiences through her art and explores issues to do with relationships and the body. As a result, Emin is often located within the tradition of feminist discourse. 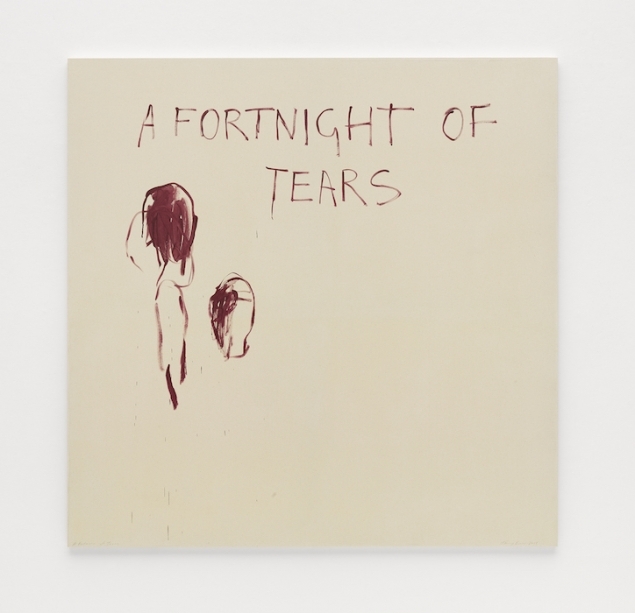 A Fortnight of Tears brings together the artist’s new paintings, drawings, photography, large-scale bronze sculptures and film, which are presented across the entire Bermondsey gallery. The exhibition documents Emin’s recent creative developments and reveals the personal and often troubled inspirations behind her works. She articulates the joy and suffering that is intrinsic to human existence, from the often fraught territory of sexual relationships, to the physical trauma of abortion (‘How It Feels’), and the recent passing of her mother. The bronze sculptures exhibited are the largest that Emin has produced to date, displayed alongside her expressive paintings.